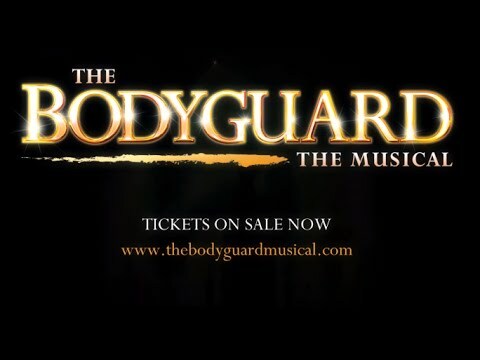 THE BODYGUARD, the award-winning musical based on the blockbuster film, is heading to a city near you starring three-time Brit nominee and X-Factor winner, ALEXANDRA BURKE* as Rachel Marron, direct from its smash-hit West End run! Former Secret Service agent turned bodyguard, Frank Farmer, is hired to protect superstar Rachel Marron from an unknown stalker. Each expects to be in charge – what they don’t expect is to fall in love. A ‘BRILLIANT!’ (The Times), breathtakingly romantic thriller, THE BODYGUARD features a whole host of Whitney Houston’s greatest hits including Queen of the Night, So Emotional, One Moment in Time, Saving All My Love, I’m Your Baby Tonight, Run to You, I Have Nothing, Jesus Loves Me, I Wanna Dance With Somebody and one of the greatest hit songs of all time – I Will Always Love You. DISCLAIMER: * Alexandra Burke is NOT scheduled to perform at any midweek or Saturday matinees including any revised matinee performances. Additionally she is not scheduled to perform between 16 – 27 FEBRUARY 2016 (Canterbury) and 1 – 12 MARCH 2015 (Sunderland). The role of Rachel Marron will be played by Zoe Birkett at these performances.The producers of The Bodyguard cannot guarantee the appearance of any particular artist, which is always subject to illness and holidays. © 2019 David Ian Productions. All rights reserved.